In today’s world professionals deal with a high level of stress in the workplace which often leads to many chronic illnesses as we get older and which impact our health and the quality of our lives. What if we can change this? What if we can learn to live a longevity lifestyle to have healthier and more productive lives while still working in high stress environments? 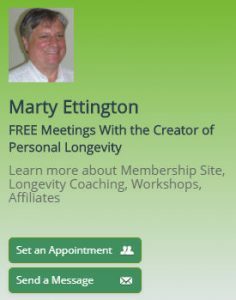 Before I explain what this longevity lifestyle is I want you to understand how I developed it and why my unconventional approach to long term health is what we all need in today’s high stress world. On the “normal” track I became an engineer (B.S. Engineering Science, RPI, 1977) and worked mostly in IT for Fortune 100 companies for thirty five years. IT software development and IT Project Management is definitely high stress. My other track is that I learned to meditate at age nineteen and have had many spiritual experiences over the years as a result. I also educated myself by reading many metaphysical books and joined several spiritual groups. 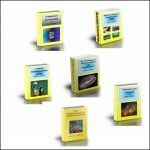 Currently I have written over thirty EBooks and Printed books on various topics of metaphysics, longevity, and science fiction. In two thousand and eight I wanted to give back what I had learned over the years by writing a book and was fascinated by the claims of Indian Yogis that they could live for hundreds of years. I did a lot of research on the internet, read various books, and talked with people around the U.S. who were leaders in the subject of physical immortality and longevity. These records consist of church and government records, videos of some persons, books about them and more. Birth certificates were rare in the nineteenth century and even in world war two only about forty percent of the U.S. population had them. However, the hundreds of records I found convinced me of the validity of these claims and led me to wonder: If this type of longevity exists, then how is it possible? My hypothesis was that there is some type of integration between spirit, mind, and body which allows people to live longer and healthier lives. So, I wrote my first book on the subject “Physical Immortality: A History and How to Guide”. As I met more people in the health and wellness field many agreed with this anecdotal opinion. I met and talked to many more people over the next several years and it solidified my opinions and thinking. 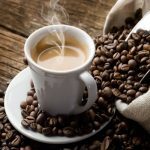 Most health and wellness experts today focus on our physical bodies, but I came to believe that the non-physical aspects of our being had as much to do with our overall wellness as did diet, weight, and exercise. One of the key components of this is mindfulness. Mindfulness is something people can develop through long term meditation, deep prayer, and communing with nature. This is what I mean by a spiritual connection. Several scientific studies have measured the levels of stress of long term meditators. These studies seem to show that long term meditation has positive effects on the autonomic nervous system (ANS) which manages various organs and glands in our bodies. The effects of mindfulness reduces stress in our bodies and through the ANS it stabilizes our organs and glands, which has a positive effect of stabilizing our long term health. Another book I wrote is “The Diets and Lifestyles of Long Lived People”. 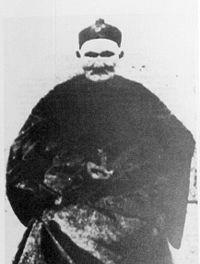 It was on four communities around the world with a very high percentage of centenarians. These communities included the Hunzas in northern Pakistan; Okinawa, Japan; Abkhazia next to the Black Sea; and Vilcabamba, Ecuador. There were a lot of similarities in these communities in their diets and lifestyles. None of these communities were vegetarians but because their traditional diets were grains, fruits, and vegetables it turns out that they only ate about one to three percent meat or fish. They also had a healthy lifestyle of exercise and respect for the regular involvement of elders in their communities. Now back to the workplace environment. How can we adapt all of this information to our daily working lives? 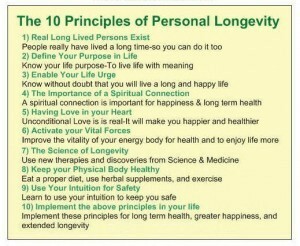 I’m convinced it’s all about learning and living a longevity lifestyle based on the 10 Principles of Personal Longevity. It’s not enough to just have the right diet, weight, and good exercise levels. These are important, but probably not the most important thing in the longevity lifestyle. One important area is life purpose and goals. No matter what age you are it is important to be focused on what your purpose in life is. Are you happy with your job and its potentials or would you rather be somewhere else? What about your personal life? Are you living it the way which will bring you happiness and fulfillment? Mindfulness is of course and important factor. In my high stress job of IT Project Management I used to go to my car to meditate during lunch. I felt refreshed afterwards and more rested and on the ball than I did in the morning. 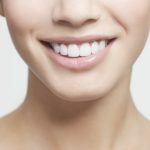 There are also other psychological and non-physical factors which we emphasize in our training to help people live a more productive and happier lifestyle. One whole area has to do with our subconscious beliefs. We are programmed to expect to go through different stages in our lives, retire, and then die. What if we can change those beliefs and reset ourselves to live in the now and not expect limits on our health and longevity. We live in a culture based on science and a lot of what I teach is “Out of the Box” and not provable by science. 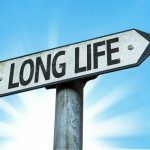 I’ve talked M.D.s who support what I do and other who just say “I don’t believe you about long lived people.” The factors which I believe are critical in longevity are not taught in medical school or within the scientific establishment. So why do I believe so strongly that they are important? Studies of long lived communities around the world backup what I’m saying. Many of the centenarians have spiritual beliefs, and they live low stress lives and/or practice mindfulness. Older persons in those societies are well respected and pillars of their communities. Their purpose and goals are aligned with their lives. Science will never be able to prove or disprove that we have a core spirit. I believe that we do from my experiences and that building that connection through mindfulness practices improves our health and happiness. We should just accept the results of these practices and not judge the validity of individual beliefs. Most scientists and venture capitalists think that technology will help us to become immortal. What I believe they miss is that we are not just biological machines. We have a consciousness which extends beyond our bodies and which has a profound effect on our lives. 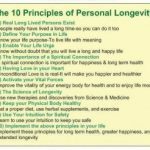 As a result of all of my studies and experiences I came to believe that teaching people a longevity lifestyle was the best way to help them with their long term health and happiness. This lifestyle includes weight loss, diet, and exercise, but the non-physical parts of our being are just as important if not more important. Long term stress reduction is accomplished not only by mindfulness practices, but by persons living their life purpose and goals, having positive subconscious beliefs, and living happier lives. Remember, stress is not a result of one thing—It’s a result of your whole lifestyle and beliefs—both professional and personal. If you want to reduce stress, you need to have a lifestyle that aligns with you and your long term needs. It is possible to work in a high stress environment and not let your health be affected by it. However, this requires a lifestyle which emphasizes many of the factors in the 10 Principles. I often think that coming into health and wellness from a technical background gave me a more independent perspective of the value of both traditional health and medicine as well as alternative wellness practices. Both areas have value to individual long term health and happiness and both are important. Best wishes to all of you in learning to live the longevity lifestyle for a happier and longer life. My book on the “The 10 Principles of Personal Longevity” is available on Amazon in Kindle or printed versions.